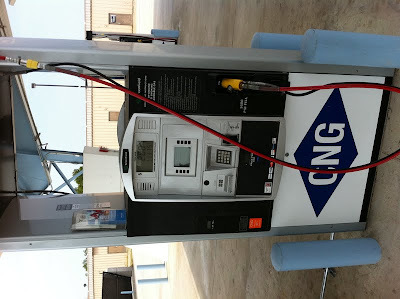 As you may have seen in my tweets over this past weekend, I visited the two new CNG stations in Bossier City, LA. The stations are CNG and E85 ethanol - two dispensers for each fuel. 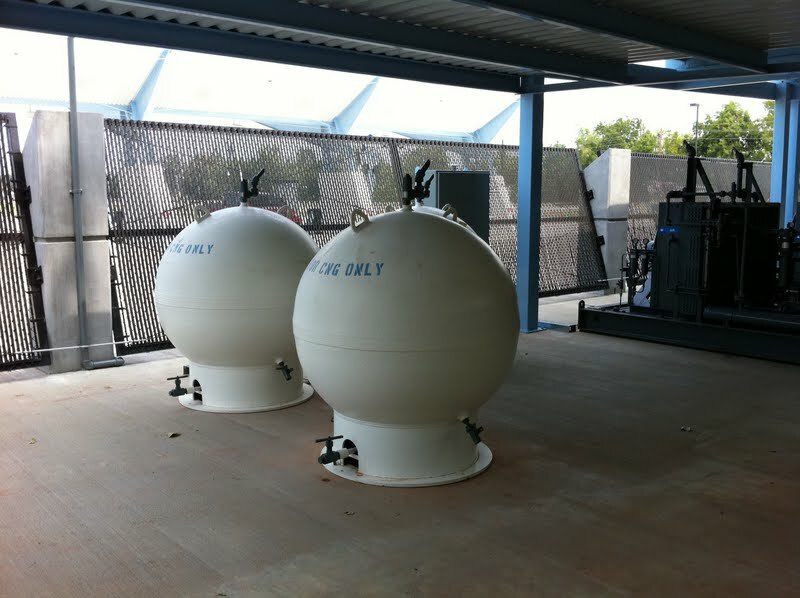 Going behind fence and taking a look at the compression equipment; these pictures show the electric motor driven reciprocating compressor and the 5,500 psig storage spheres. The compressors turn on automatically when the pressure in the spheres drops to preset levels, much as a air compressor operates. 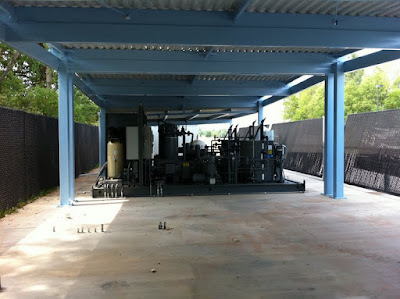 There is room to add more compressors in the future. The compressors were packaged by JW Operating in Kilgore, TX. According to the nameplates on the various pieces of equipment, most of the components were manufactured in the US. 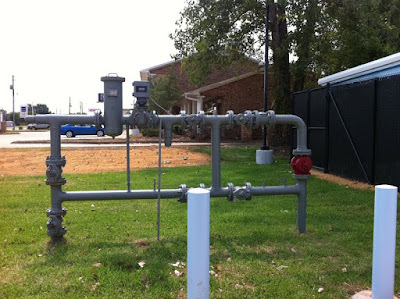 All of the natural gas for the station is supplied from this small pipeline connection. It appears to operate at 150 psig - which saves significant compression horsepower compared to other stations I've seen that only have 40 psig supply pressure. Here's a quick video walkthrough of the station. 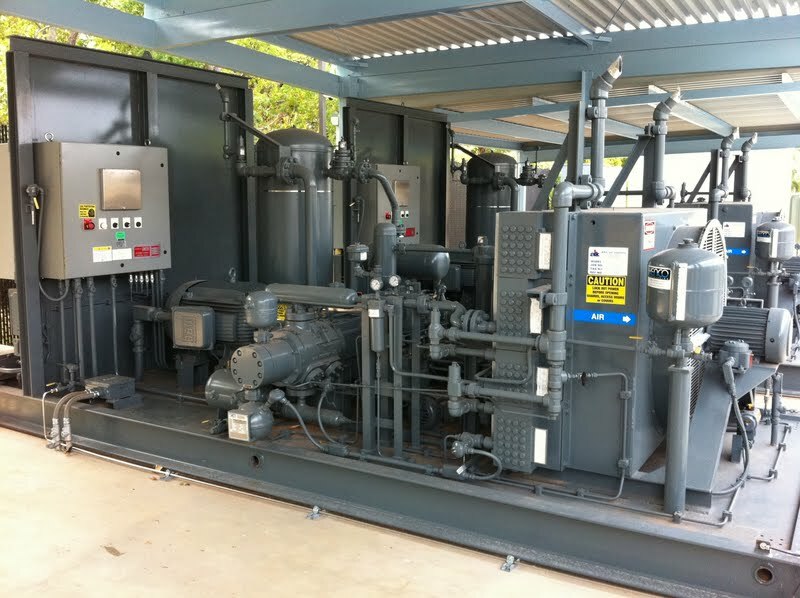 This is one of the best stations I've seen - it has redundant compressors, multiple dispensers, and a lot of high pressure storage. The motor driven compressors insure a quick compressor startup. 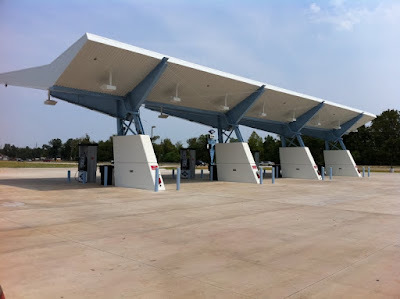 Now we need to get a lot more of these installed around the country!